Weston Colville Reading Room. 29 March from 6:30pm. Portable Pint Pop-Up Pub event. Cask ales, Wylde Sky beer, Cambridgeshire cider, wine, prosecco & soft drinks plus pub games. Locally made scotch eggs from The Kitsch Hen. White Lion, Sawston. Meet the Grain Brewer. White Lion, Sawston. 29 Mar from 7:30. Meet the Brewer Night with Grain Brewery. Their 316 (3.9% pale, crisp, citrus), Best Bitter (4.2% Amber malty ale) and Slate (6.0% smoked, black, silky) will be available on the handpumps. There will be a 5% craft keg beer. Their 9.3% Empire Slate (Imperial smoked porter) will also be there. American Tap Takeover at the Petersfield. Petersfield, Sturton Street. 3-7 April. American Tap Takeover. American produced and American style beers. Grand National sweep on Saturday. Watch the Boat Race on Sunday. Maypole, Portugal Place. 4 April. Tap Takeover by Tempest Brewing from the Scottish borders. Scotland inspired food too. Don't mention Mars bars! Blue Moon. Meet the Brewer Night with Duration Brewery. Blue Moon, Norfolk Street. 4 April. Meet the Brewer evening with Duration Brewery. Chihuahua Mexican street food van outside. One of the team from Timothy Taylor's brewery will be in the Three Tuns, Great Abington from 6pm on Thursday 18th April. Find out more about their award winning beers. Try their Landlord, Dark Mild, Ram Tam, Boltmaker and Golden Best. Well it's not actually Harry Potter at the Blue it's a Harry Potter quiz night to raise funds for local sexual health charity Dhiverse. For more details check out their Facebook event. 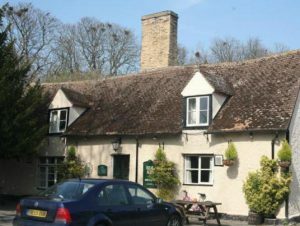 The Red Lion in Histon will have around 20ish real ales plus ciders & perries, German & Belgian draught beers and world bottled beers at its Easter Beer Festival. Pub snacks throughout. Live music with the Moses Carter Band on Friday night and Red Velvet early Sunday evening.